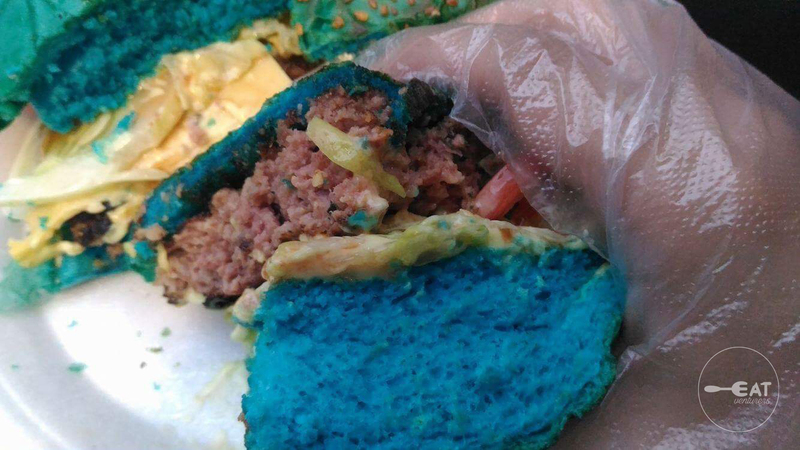 If you’re already used to eating on commercialized burgers, The Eatventurers will introduce you to a not yet famous burger joint that can compete with mainstream ones. 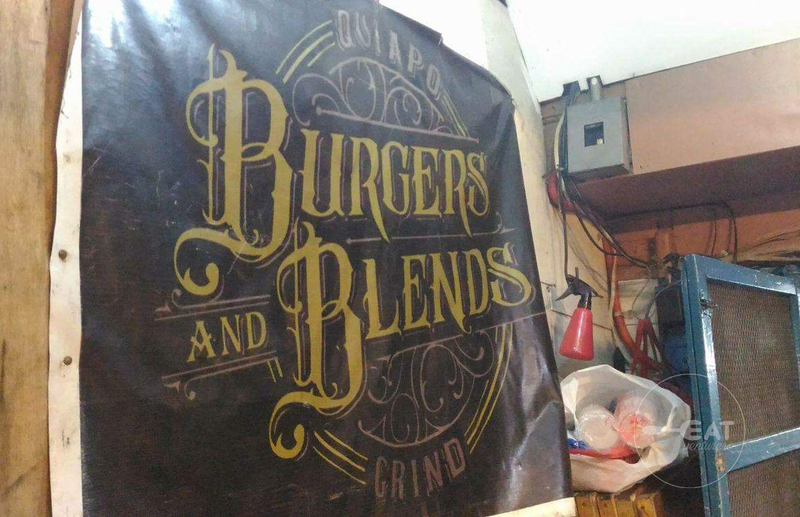 Say hello to Quiapo Grind: Burgers and Blends, just a walking distance from Minor Basilica of the Black Nazarene or Quiapo Church and the University Belt. It is within a residential area. It is a small joint which is actually just in front of the owner’s house! Interesting, right? Burgers at Quiapo Grind: Burgers and Blends prices range from P25 to P300. 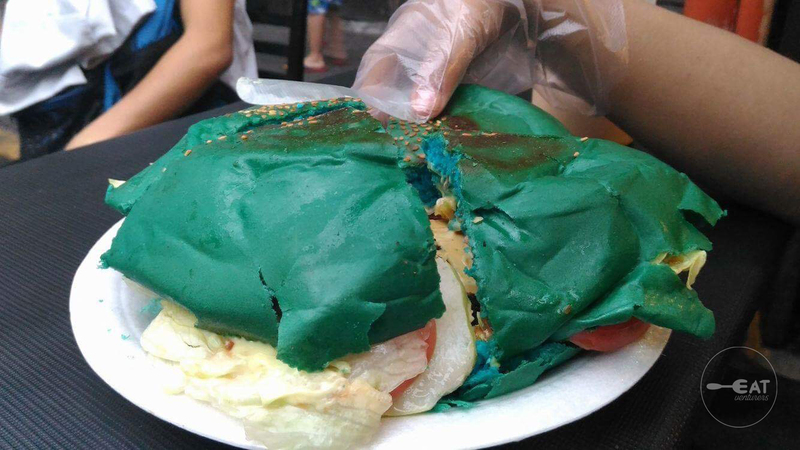 Given its serving, the most expensive burger is already for sharing. 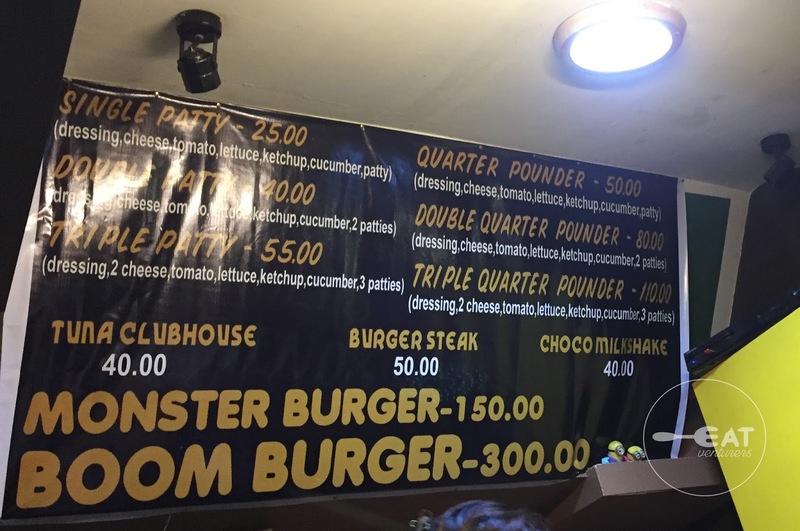 Aside from burgers, they also offer Tuna Club House (P40), Choco Milkshake (P40) and Burger Steak meal (P50). 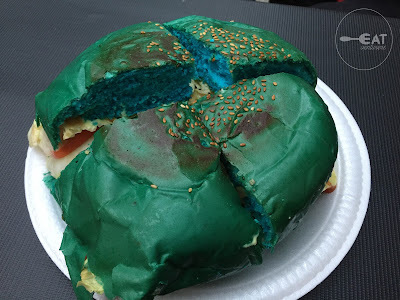 The burger was filled with cheese, tomatoes, lettuce, ketchup, dressing, and cucumbers. We really don't like the colors of their buns: they have green, red, black, etc. but the taste of their patties compensates the lacking appeal. Their patties have a caramelized texture on the outside while still juicy on the inside. 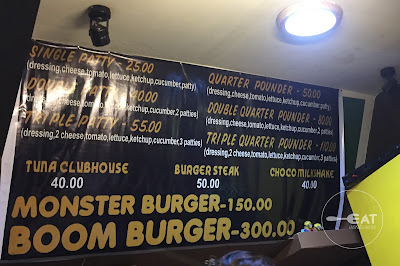 They have a special spicy sauce to go with your burgers as well. The pictures do not say much because it tastes way better than it looks. Heads up! 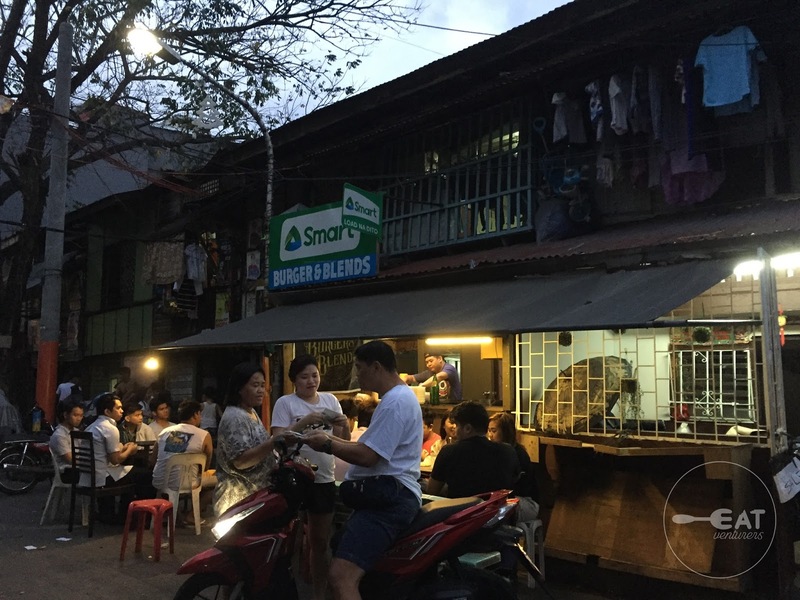 For peak hours, only one or two cooks are manning the line making its service a little slower but during our visit, although there are many customers they were still able to serve as fast as they could. About 15 minutes waiting time. Overall, it is a “dayo-worthy” joint. It is often flocked by students from the University belt. Disclaimer though, iwan ang pagka-sosyal sa bahay because it is a very simple shop.